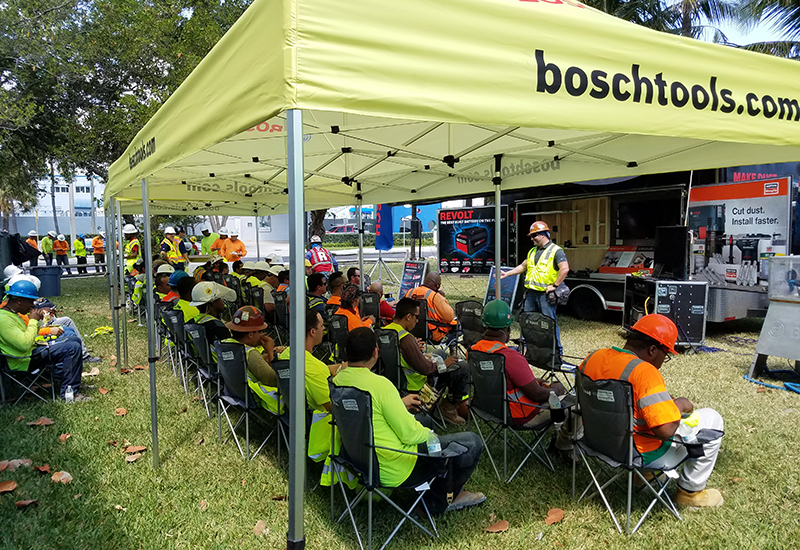 It’s not often that industry betterment serves as the primary motive behind a brand activation, but Bosch is leading the way with a mobile tour aimed at increasing job site safety. 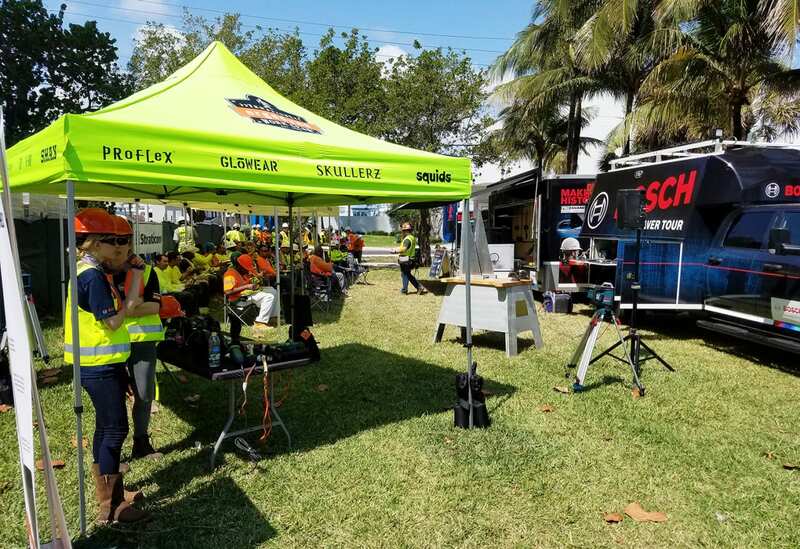 Following the success of its 2016 Power Tour, the brand hit the road again with two vehicles in early April and will bring expert-led training and demonstrations to 12 markets in the U.S. and Canada through October. Bosch spends three weeks at each Power Tour stop, directly targeting large-scale construction sites where its experts have the opportunity to provide a value proposition to laborers from a variety of trades without disrupting their daily workflow. 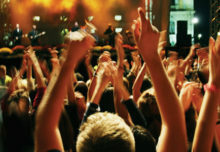 Two weeks in each market are spent educating users on job site safety and productivity, and one is spent on engaging distributors to drive sales. Activations center around four key OSHA initiatives: being safe and seen on job sites; working safely from heights; managing heat stress; and safety with silica dust, a hazardous particle often inhaled on construction sites. Each activation begins with a highly visual presentation delivered by a certified Bosch trainer, and includes hands-on challenges that allow attendees to interact with Bosch products while learning how to secure their work environment. Attendees, which will total around 20,000 by the time the tour wraps, are also provided with lunch and top-notch safety vests, courtesy of the brand. And to help capture leads, Bosch invites laborers to enter a sweepstakes to win a Dodge RAM commercial vehicle, with a chance to opt-in to receive more Power Tour-based content, like links to training modules. New to the tour this year, Bosch is also teaming up with Ergodyne, an industry leader in heat stress and safety wear, and Simpson Strong-Tie, a leader in anchoring and drilling solutions that help workers do their jobs cleaner. The partner brands are on-site throughout the activations to answer questions and provide supplemental safety education. “This tour was less about selling our products and more about bringing training and thought leadership to job sites,” says Greg Henderson, group marketing manager at Bosch. “We have a vested interest in the construction community working faster, safer, better… There are solutions, and yes, we sell those; we are in the business to sell things. But at the end of the day, we want to add value.” Agency: Switch, St. Louis. 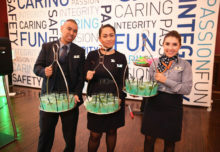 Each tour activation begins with a presentation delivered by a certified Bosch trainer, and includes hands-on challenges.